February 14, 2018 February 14, 2018 by jlh827Leave a Comment on Maple Holistics Shampoo Review! Hey guys! I just wanna share a review for this great Tea Tree Shampoo I’ve been trying out. Maple Holistics was kind enough to send me a sample of their product when they reached out to me via my Instagram page. You know how important I believe having healthy, all-natural beauty care products are, and this shampoo doesn’t disappoint! It is sulfate free, helps to clear away dead skin and soothes the scalp and it contains over 98 all-natural compounds to promote scalp health. When I used it it did indeed give my scalp a soothing feeling and kept it clean and itch-free for quite awhile. I plan to try it out with their tea tree conditioner in the future. This product can: Promotes healthy hair growth. Can slow hair loss, shedding, and thinning hair. Helps prevent flaking and dandruff. Capable of soothing an irritated scalp. Potential to naturally eradicates lice. Leaves hair and scalp rejuvenated and fresh. 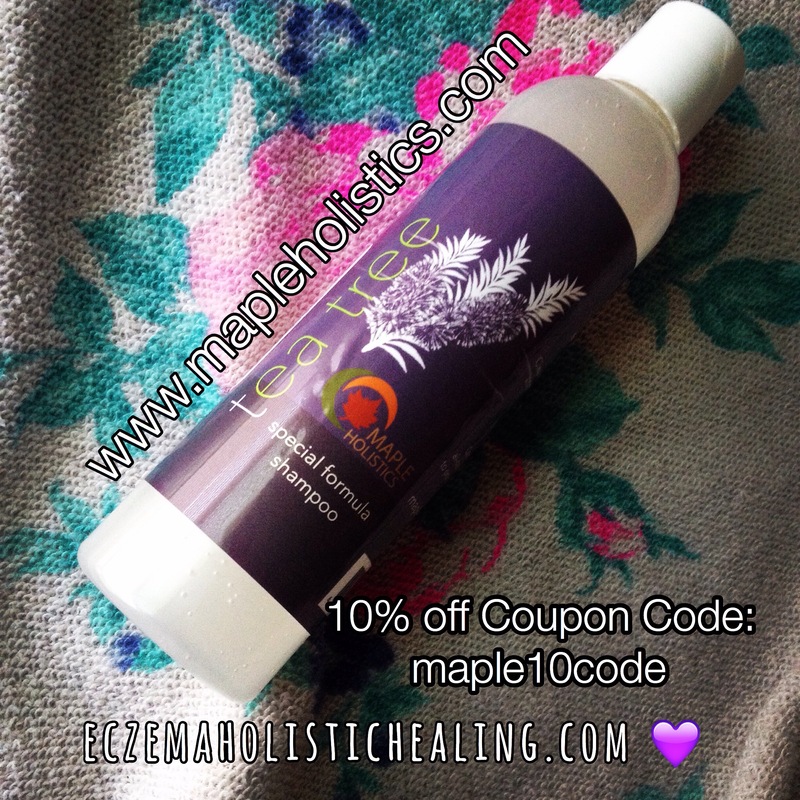 Click HERE for their product page on the Tea Tree shampoo and make sure to use the coupon code: maple10code to receive 10% off your order! You can also be apart of their Free Samples program by clicking HERE. This program allows you the opportunity to try out their products at no cost, all while learning about an all natural, cruelty-free company based in the U.S.
***Always after I wash my hair I will apply a restorative and anti-itch oil mix to my scalp. This mix includes: lavender essential oil, tea tree (melalecua) essential oil, castor oil and coconut oil. Sometimes I will add in rosemary essential oil. The lavender x melaleuca and the coconut oil have antifungal, antimicrobial and anti-itch properties and the rosemary and castor oil can help to stimulate the scalp and hair follicales to get them strong and grow faster! To get the therapeutic & food grade, 100% pure, never ever diluted and preservative-filler and dye free essential oils that I use and sell click HERE my store site! Feel free to email me with any questions you may have about the EO’s and check out http://www.sourcetoyou.com for info on their sustainable sourcing and fair trade practices.